This post includes affiliate links. Thanks for supporting Whistle and Ivy! Happy Friday friends! Today brings a moment of triumph as I stepped outside my comfort zone and completed this Chunky Diagonal Weave Hat, designed by the very talented Jennifer Dougherty. Isn’t that weave texture marvelous?! 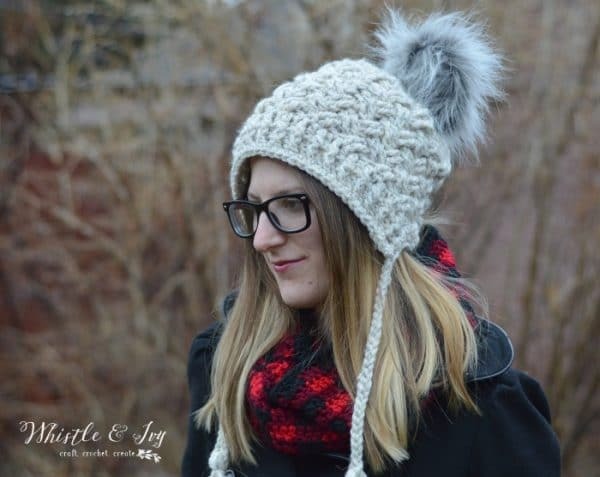 I was given an opportunity to review her brand spankin’ new book Crochet Style, and was so pleased to give her patterns a try. The book includes over 30 patterns, each contains sizing for the whole family, and each made with amazing textures like this one! There are several more projects I intend to make in the near future. Plus, Sis would look adorable in a toddler size. I admit. 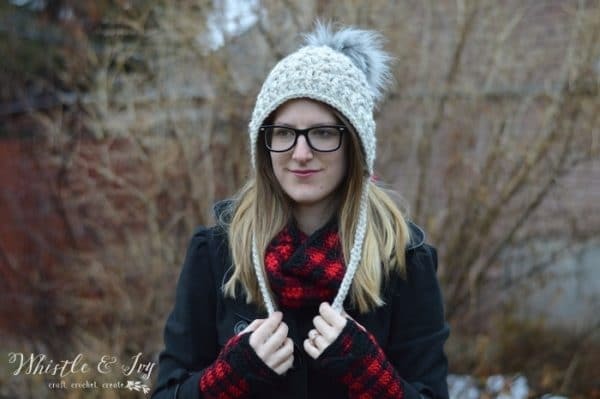 I do not consider myself an “advanced” crocheter, but this hat looked so cozy and the diagonal weave texture is so unbelievably pretty, I couldn’t resist giving it a try. 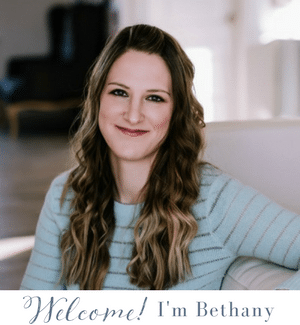 It did take a few tries to wrap my brain around what I was supposed to be doing, and Jennifer provided step-by-step photos for the complicated parts. Every bit of the trouble I had came because I didn’t read the directions carefully and throughly, and once I realized what I was doing wrong, I finished the hat quickly. And I feel like whole new world of options have opened up to me! That being said, not all of her patterns are for advance crocheters either! No matter your skill level, you can make the gorgeous projects in this book. Oh I love my new hat! Normally, I sell or give away things I make (I make a lot of things and I can’t keep them all), but this hat is MINE. I know several people in my life who would love one of these too! 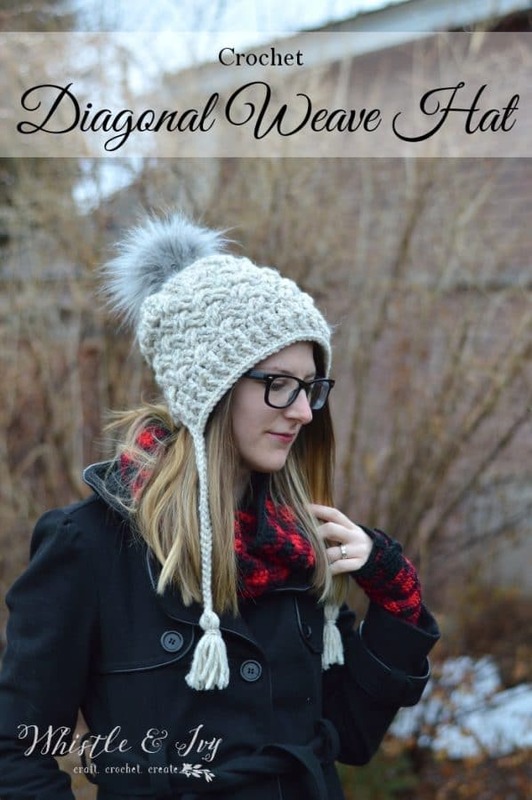 Also, this hat features my first attempt at making my own faux-fur pom-pom! I will need a bit of practice, it turned out much larger than I meant it to. I used this tutorial, and got my fur at Joann. 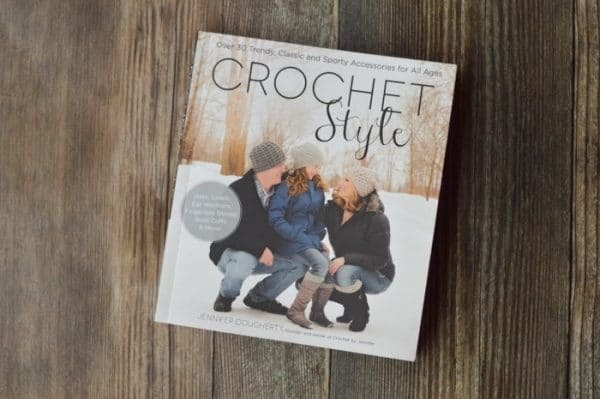 Take a peek at Jennifer’s book Crochet Style and I know you will find something you love! I love your work. And I have your book. Great stuff. 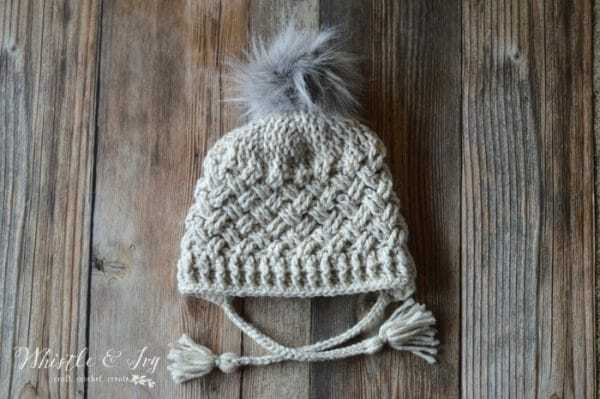 I am going to start this hat tonight! Yay! Thanks so much Linda! I would not part with this hat either LOL great job! Your hat turned out so cute. I love the chunky knit look and how it has the ear flaps to keep you warm. Thank you for sharing your creation at the #HomeMattersParty last week. We hope you will link up with us again when the new party opens this Friday. 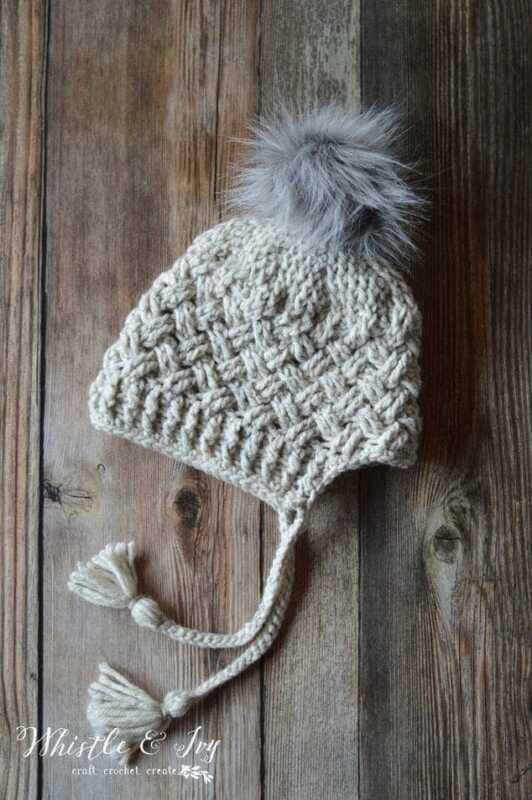 This hat is just so cute! And you knit it??? I keep meaning to take up knitting and just haven’t yet, but I so need to! THAT HAT! It’s just perfect…think I’m gonna whip one up for my daughter…and maybe me as well. Thanks for sharing, the ‘fur’ pom makes it.! 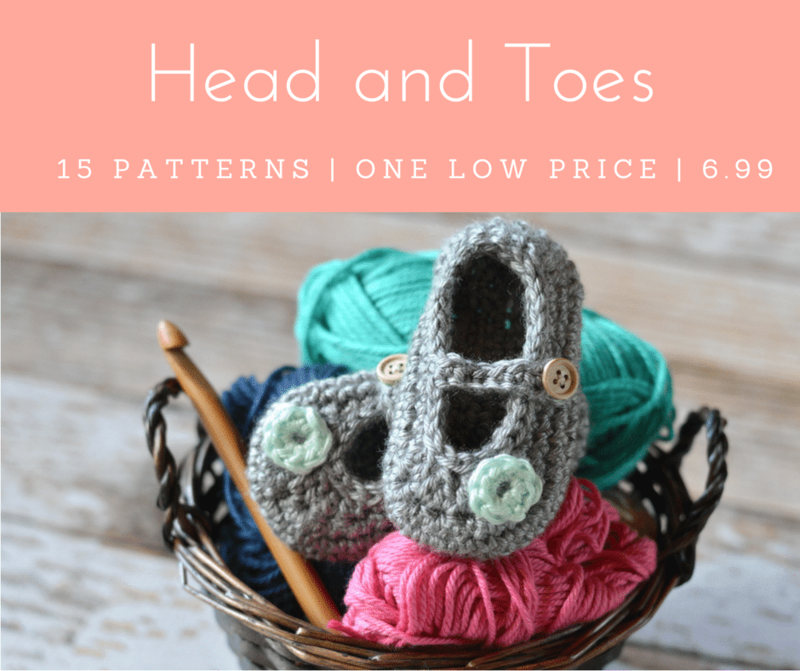 Absolutely loved working up the free plaid hat pattern you so generously provided. I have posted a picture of my finished hat to Facebook and The Crochet Crowd giving full credit for the pattern to Whistle and Ivy. Sincere thank you for adding to my pleasure by sharing this pattern. Thank you! I am so glad you liked the pattern! Cheers! In the book that I link to, it’s called Crochet Style.